The new building contains 18 new flats (mixture of 1-bed, 2-bed and 3-bed), retail element, large cycle store and associated new landscaping to the front, which will form an improved public realm. The building responds to the two streets with a change in treatment to the façade. The residential elements are set back from the street edge. The project is currently in planning, with an anticipated decision due early Spring. 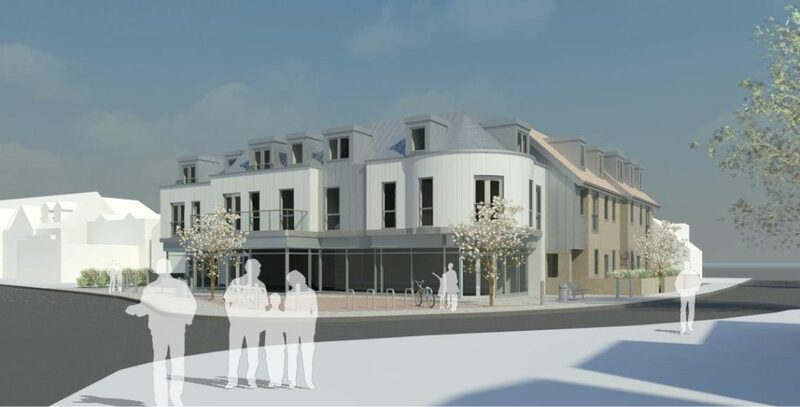 Full Planning Permission was obtained for the Maltings in West Dean late 2011. The site comprises a house and 2 barns which date back to the 18th & 19th Century and are currently unused. Our Southampton office were asked to look at redeveloping this existing corner site. Our Southampton office were asked to design a new development in Southampton to provide 18 new flats. Studio Four Architects were commissioned by Colten Developments to design and obtain Planning permission for a development of 4 houses on a site in Lymington.